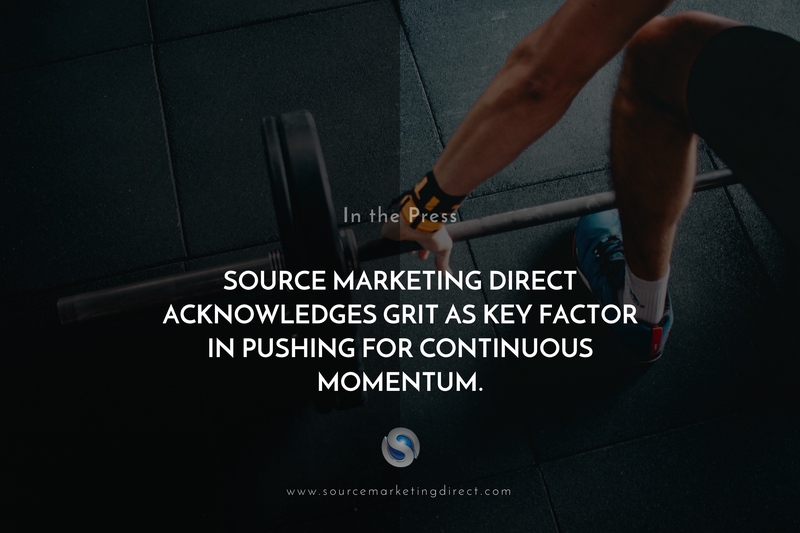 Source Marketing Direct acknowledges grit as key factor in pushing for continuous momentum. London-based sales and marketing experts Source Marketing Direct believe that certain beliefs people create in their brains stop them from growing, and pushing on to achieve the next level of success in a given scenario. The firm, who celebrated their 10th year in business last month, believe growth is not something that happens by chance, or by accident – but instead is very intentional, and is only achieved when accompanied by grit. “Sometimes complacency creeps in, and an assumption grows that just by ‘showing up’ the expectation to truly progress develops. Angela Duckworth said it best when she explained how top achievers have extraordinary stamina – even if they’re already at the top of their game, they’re always striving to improve,” explains Managing Director of Source Marketing Direct, Hector Montalvo. Angela Duckworth is an American academic, psychologist and popular science author who believes the concept of grit can predict who will accomplish challenging goals, and who will not. Source Marketing Direct regularly refer her book ‘The Power of Passion and Perseverance’ to their contractors, and discuss it in their morning meetings. In a TED Talk she gave in 2013 (which now has 3.8+ million views), she concluded that it’s not about IQ, talent, family income, or other factors – but grit that was the most significant predictor of success. Indeed, according to Duckworth, grit ‘predicts the likelihood of graduating from high school and college and performance’, in stressful jobs such as sales. Source Marketing Direct also believes that having true grit propels people to the highest ranks of leadership in many demanding fields. “It’s about fostering the growth mindset and rising after supposed failure. We try to explain how getting the ‘bit between your teeth’ even when the going gets tough is what gets you to the end zone. That’s true grit,” concluded Montalvo. Previous Previous post: Sales makes the world go round, states Hector Montalvo of Source Marketing Direct. Next Next post: After work fun this Friday 25th Jan!